A day after taking similar action against Facebook, Apple has unleashed developer-hell on Google by pulling important app-development tools from the internet giant for breaking the iPhone-maker’s rules. Bloomberg reports that Google employees can’t access test versions of iPhone apps they’re making, or use internal apps related to transportation scheduling and food, the people said. Security alerts are limited too, one of the people said. They asked not to be identified discussing private matters. “We’re working with Apple to fix a temporary disruption to some of our corporate iOS apps, which we expect will be resolved soon,” a spokeswoman at Alphabet Inc.’s Google said in a statement. Apple restored Facebook’s privileges on Thursday. This comes less than 24 hours after Facebook’s app development was hobbled in a similar way in a sign that many say suggest Apple is wielding power as operator of the most-lucrative U.S. app store to push its approach to user privacy (note: Apple restored Facebook’s privileges late Monday, but the social media giant is still working to get its internal apps back up and running). Apple offers an “enterprise certificate” that helps some companies work on iPhone apps without going through the usual app review process. Facebook and Google used this to collect data on user activity for internal research. Bloomberg notes that when this was reported earlier this week by TechCrunch, both companies stopped the activity. Apple said Facebook had broken its rules and pulled the social-media company’s certificate until Thursday. It’s now punishing Google, too. And specifically, Google and Facebook rely on the enterprise certificate to test the iPhone versions of the apps they’re making. Without this option, some of the companies’ most important app-development work is disrupted. “They have no problem flexing their power with us,” Paulo Andrade, a software developer who builds apps for Apple operating systems,said. But, there may be more to this sudden show of force by Tim Cook (who has rarely missed an opportunity in the past year to hit Facebook about its privacy issues. 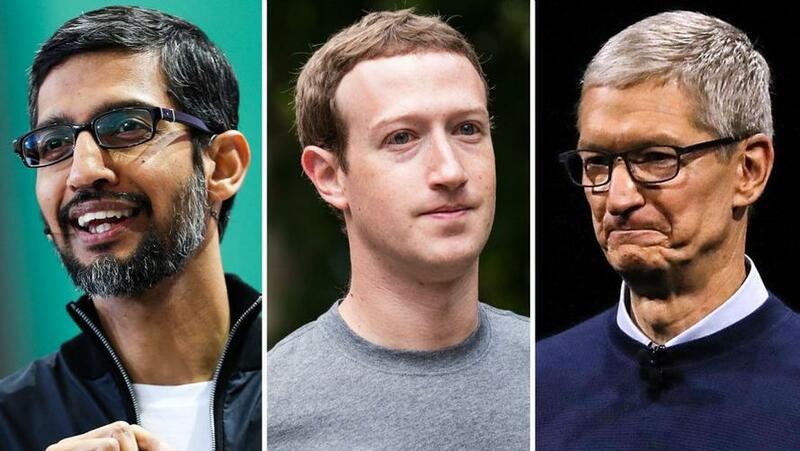 As NBC News reports,some observers of the two companies believe the fight has become personal between Zuckerberg, the 34-year-old from New York who founded Facebook, and Cook, 58, an Alabama native who was a largely anonymous tech executive until he took over Apple in 2011. “The heart of this is ego. These two hate each other,” said Scott Galloway, a New York University marketing professor and author of “The Four,” a book about the dominance of Apple, Facebook, Amazon and Google. At its core, NBC points out that the disagreement speaks to a growing philosophical rift in the tech industry between companies that make money off personal data, and those that do not. Apple is on one side (companies should not exchange privacy for services), while Facebook is on the other ( data-targeted ads are a small price to pay for connecting the world). Consumers expect tech companies to get along, said Rene Ritchie, a senior analyst at Mobile Nations, a media company that focuses on the tech industry. “You count on everybody to be on their best behavior,” he said. “There was Ali-Frazier. Now there’s nerd vs. nerd,” he said.